Hi everyone! This is the tutorial for the socks I posted earlier. 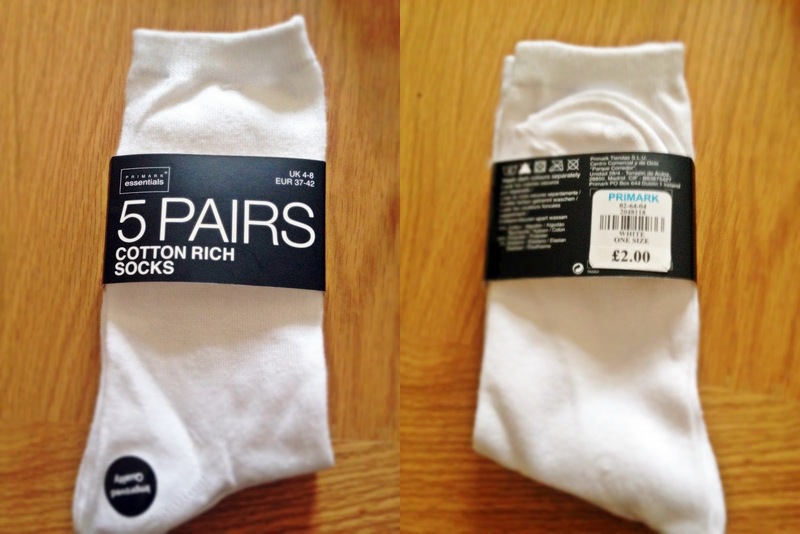 The socks above are from Urban Outfitters and will cost you £6.00. However I created 5 pairs of these at home and therefore made a HUGE saving! 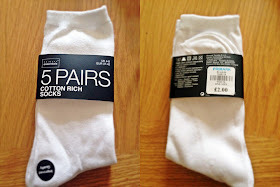 I bought this 5 pack of 100% cotton (takes in dye better) socks from Primark for £2. You will also need: A Bucket, 250g salt and Water! Follow pictures below for the stripe swirl design! i posted pictures for this as they are the trickiest! Step 4 - Add 6 litres of warm water (40 degrees celcius) and 250g salt to a bucket. 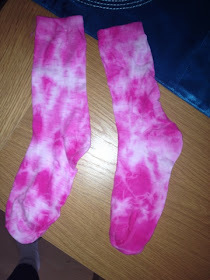 Step 6- Put socks into dye and leave to soak for 45 minutes! I put other stuff in there to dye as well! Step 7- After 45 minutes take out of dye and rinse with cold water, then put in wash on quick cycle, then leave to dry! 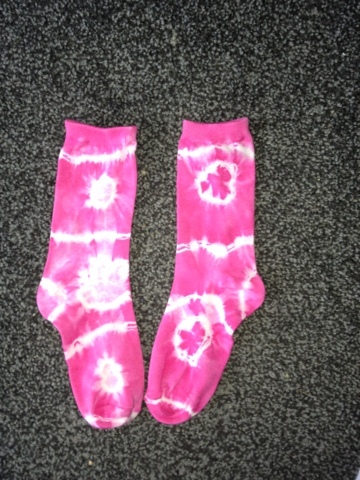 and hey presto, you have tye dye socks! This is the stripe swirl design but want something more similar to the urban outfitters deign then look at the pivcture below! I achieved this design by following all of the steps above, however when it came to tying the socks I scrunched the sock into a ball then randomly tied elastics around the ball! i must admit, I'm rather impressed with the results!